The Skyspan Fixed Roof Window is the ultimate choice when it comes to Utilizing Nature’s Gift of natural lighting in your home. The Skyspan Fixed Skywindow opens up rooms by bring the goodness of natural light inside making it feel more open and comfortable. The Skyspan Fixed Roof Window is the ultimate choice when it comes to Utilizing Nature’s Gift of natural lighting in your home. Rooms are provided with natural light and ventilation, away from the exterior walls, in cost and energy efficiency. 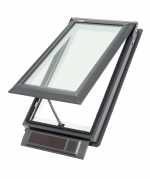 The Skyspan Fixed Roof Window has two standard types of glazing. Performance Laminated Glazing (PLG) is Single Glazed Safety Laminate Glass that resists impact penetration and PVB Interlayer that eliminates 99% of UV. PLG is built for Australian Standard AS1288 and is 12.38mm Glass. Comfort Double Glazing (CDG) has all the benefits of Performance Laminated Glazing with added noise reduction and Energy performance. Comfort double glazing is an outer pane of Toughened Safety Glass with a Low-E coating to maximise Light Transmittance and reduces Solar Heat Gain, an Argon Gas filled cavity for better energy performance and an inner Laminated pane for added safety. CDGis built for Australian Standard AS1288 and is 6mm Toughened Low-E Outer pane, 12mm Argon filled Cavity, 6.38mm Laminate Inner pane. Glazing is Clear glass as standard. Grey Tint and White Translucent are available as an option. 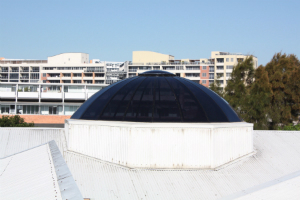 The Skyspan Fixed Roof Window is Australian made for Australian conditions. It comes with a one-piece flashing for complete water tightness and peace of mind. 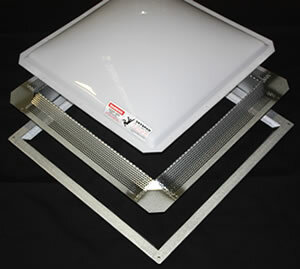 The Skyspan Roof Window can be installed at any roof pitch – eliminating the need for unsightly pitch adaptors. 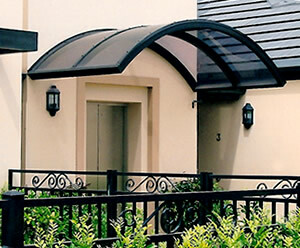 Skyspan’s Fixed Roof Windows fit all roof profiles. 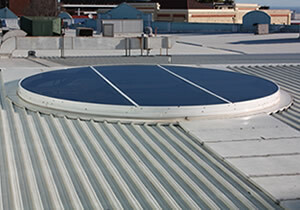 The flashing is a one-piece unit designed to suit the Australian roofs and Australian conditions. 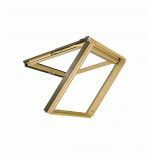 The standard unit is manufactured from Zincalume steel, aluminium and pine for durability and is designed for economy, a low silhouette and easy installation. 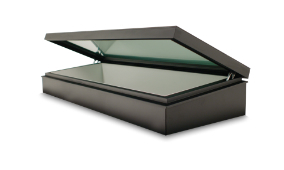 The Skyspan Roof Window comes standard in a Slate Grey finish. 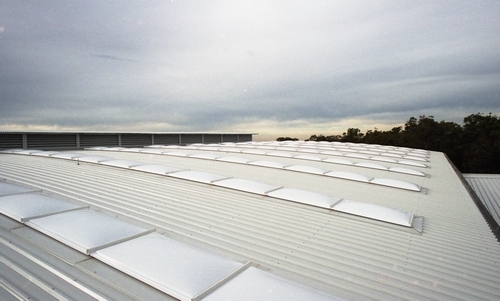 Other colours are available to match standard roof colours. 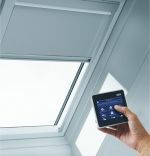 The Skyspan Fixed Roof Window comes standard as a non-ventilated unit with the option of passive ventilation. The Skyspan Fixed Roof Windows is manufactured to comply with the Australia Standard AS4285 and is covered by a seven (7) year guarantee. 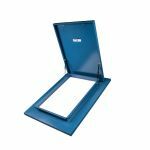 The Skyspan Fixed Roof Window can be manufactured to cater for your individual needs and come with a large range of options. 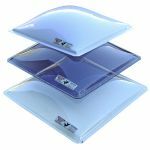 Skylights should be inspected at least once per year and any build-up of leaves and rubbish be removed from around the skylight. Depending on the severity of the problem, this may be needed to be performed more often. The Skyspan skylight is normally cleaned by the elements. At least once per year, wipe over with soap and water and a nonabrasive sponge. Avoid using solvents and thinners. Dust and wipe over to ensure that any build up or caked dust is removed which could prematurely cause corrosion. Repeat as often as needed for each individual location. * Note: build to order products are non returnable.